At Sage’s Cafe, the term “Garden to Table” is the mantra. Instead of flowers, lush greens line the front of the restaurant, whetting your appetite for fresh food. In the garden, squash, fruit and herbs are tended to, waiting for their chance to end up on your plate. “It’s the quality, the colors and the freshness,” replies Chef Ian Brandt, when asked why he grows his own produce. Moving into the space occupied by the historic Jade Cafe on 234 West and 900 South, Brandt had the opportunity to expand Sage’s menu and plant a garden. The new location has been doing quite well. 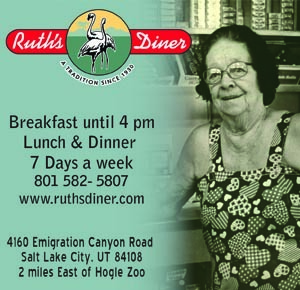 TripAdvisor recently rated Sage’s Cafe eighth-best reviewed restaurant out of 1100 restaurants in Salt Lake. Redecorated with a sleek, modern interior, Sage’s Cafe serves vegan international cuisine using organic foods and locally-grown produce. Seasonal fruits and vegetables from Brandt’s garden are incorporated into most of the dishes. An example of a dish made with house-grown produce (the newest foodie catchphrase perhaps?) was the Candied Pumpkin Seed Pancakes. Three small pancakes studded with candied pumpkin seeds were dressed with luscious red wine reduced figs and a sweet nectarine compote and served with local asparagus, carrots and home fries. The specials at Sage’s Cafe are something to look forward to. On the new and improved drink menu you might find sangria, made from grape juice from grapes grown at Brandt’s home garden or even a martini dressed with a house-made (and grown!) pickle. Herbs also find their way into the cocktail menu. “We have been making lavender-infused cocktails and rosemary martinis,” says Brandt. In 2006, Brandt introduced Vertical Diner, the “All American Diner” (ie: “deep fried”) cousin of Sage’s Cafe. 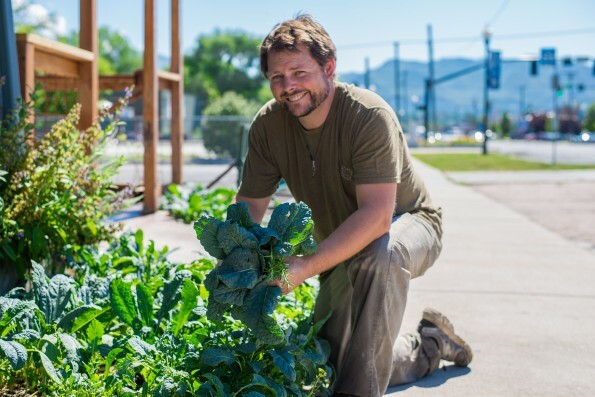 According to Brandt, “Vertical Diner’s menu ranges from Mexican food to down home Southern cooking using locally grown produce.” There isn’t much room for a garden at the small restaurant, but he manages to grow fennel, collard greens, kale, grapes and hops. 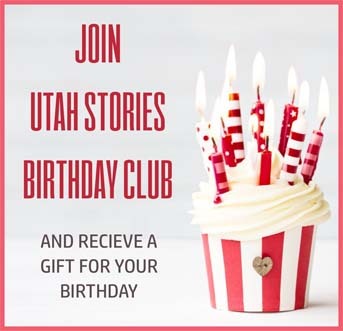 Located at 2280 West Temple in Salt Lake City, Vertical Diner offers a variety of tasty vegan junk food such as Tender Tigers (faux chicken tenders), killer “milk” shakes and delicious comfort food breakfasts such as biscuits and gravy. Home grown veggies and fruit show up in salads and cocktails. 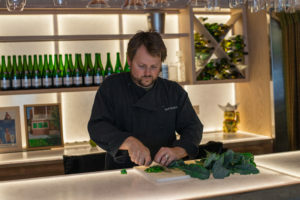 At his home, Brandt grows a plethora of produce for use in both restaurants. You will find a good variety of fruit including grapes, apricots, apples, pears, plums, peaches and cherries. Vegetables include sunchokes, tomatoes, squash, zucchini and cucumbers. He also grows herbs. “Gardening is a wonderful form of exercise!” Brandt says.